Colyne at his 40th birthday deed of arms, 2014. Colyne's entry on the Ealdormere wiki. Colyne's lineage on the Ealdormere wiki. 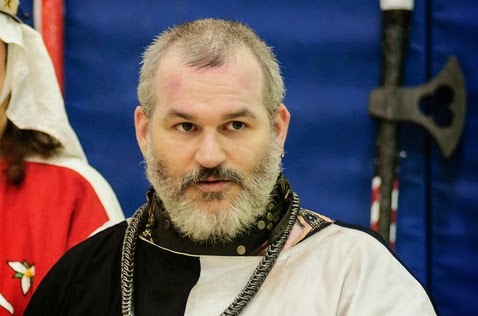 Colyne, with Baron Torbin's long sword, at his Deed of Arms, 2014. Eventually he came to Ealdormere where, for the first time since serving David, he found knights and other noble peers who commanded his full respect. He settled along the Highcliffs in the Canton of Ardchreag within the Barony of Septentria. Here he toiled for many years, working as a seneschal, a chronicler, an ale taster, a bailiff and in many other duties and roles. Colyne was one of those who helped amalgamate the wide-flung outposts and forts within the wilderness along the Cliffs into a bustling manor. He helped build the Rouge Ports, and took on the post of Portmaster, evening commissioning the construction of Ardchreag’s first naval vessel (the Red Arrow). While patrolling the waters surrounding his home, Colyne had many battles with the nefarious pirates known as Cap’n Bloodfox and Cap’n Widow (who commanded the Black Trillium and the Clever Wife). 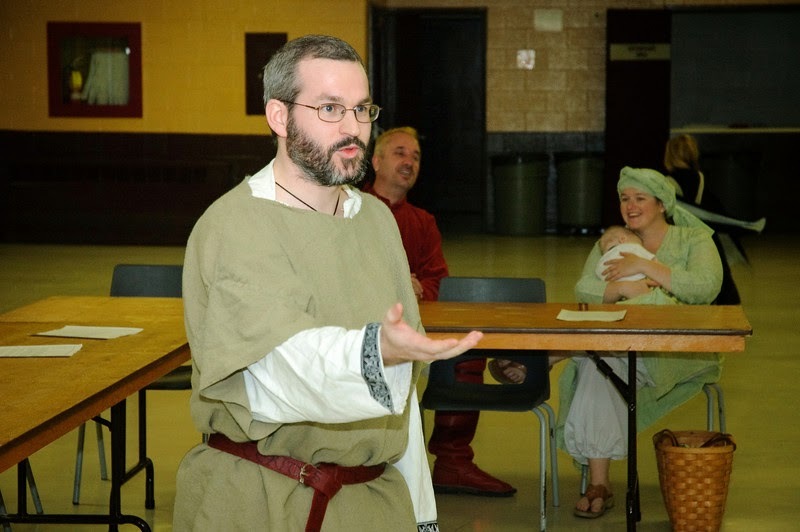 Colyne makes his case at Ardchreag's manorial court, 2005. Not one to let his mind atrophy, Colyne took to the study of games, heraldry, bestiaries, book binding, foolery, strategy and tactics, armoured combat, and other topics. He helped found Ardchreag’s library, and the Septentrian Archives. He founded the Games Guild of Ealdormere, and the Septentrian Performing Arts Troupe. He continued to write verse and prose (for a time as Bard of Septentria), and began to record the histories of his canton, barony and kingdom. Being seen as a fount of local information, a Society-wide chronicling organization appointed him their local representative. His sword, bow and axe were sworn to the defense of his barony, where he served in the Isengesitha (the barony’s fyrd, under Cynred and Gaerwen). 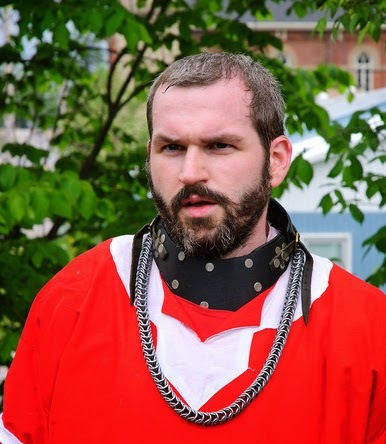 For a year and a day he served Sir Finnvarr deTaahe, the Iron Duke, as a retainer for war and tourney. Knowing his love for his barony, the Duke requested that Colyne remain part of the Isen, except when at a foreign war. When the retainership was complete, Colyne once again became a full time Isen. 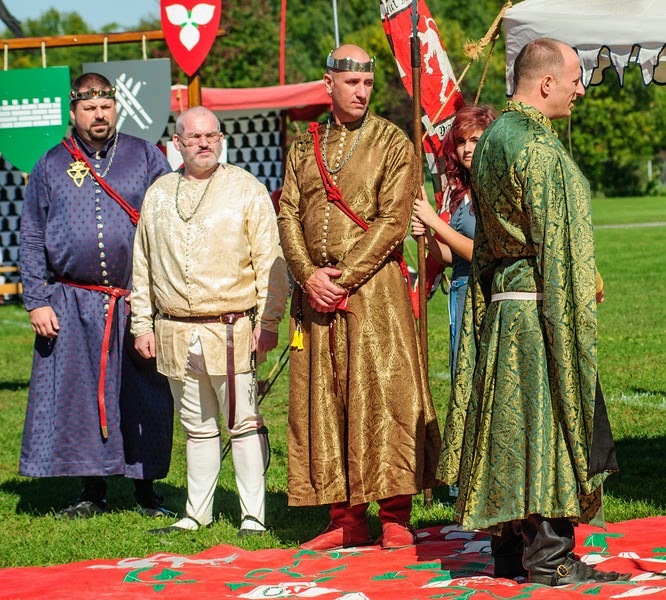 Colyne with his current squire brothers and his knight, Sir Nigel, at Fall Coronation, 2013. Over the years, Colyne suffered from ill health, and this (coupled with other reasons) led him to retire from the field and leave Sir Evander’s service. His time as Evander’s squire was meaningful to him, and the two parted ways on friendly terms. Continuing his studies with Adrielle, he eventually became a full member of House Arrochar, also becoming a valet to her noble husband, Sir Nigel MacFarlane. 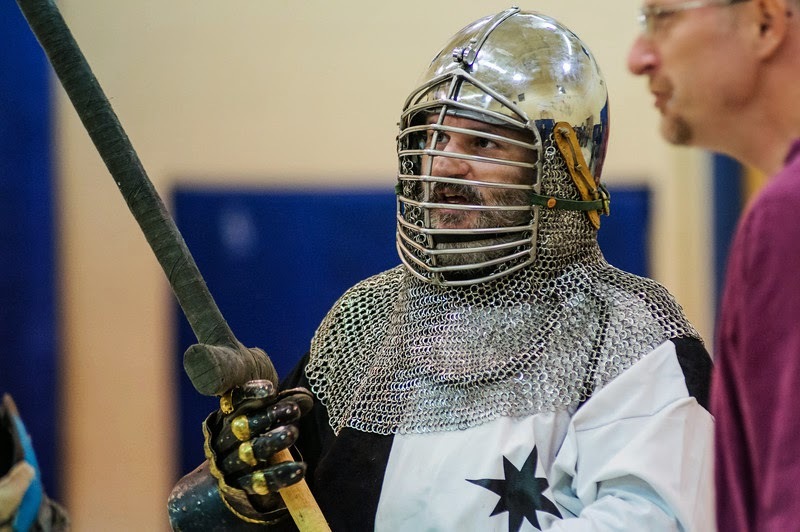 When his health allowed, Colyne again took up the sword and became Sir Nigel's fourth squire. Later that same year he signed a contract with Adrielle to become her sixth apprentice. He was given full access to the libraries and scriptoria within the Duchy of Arrochar where he continued his work as a makar. 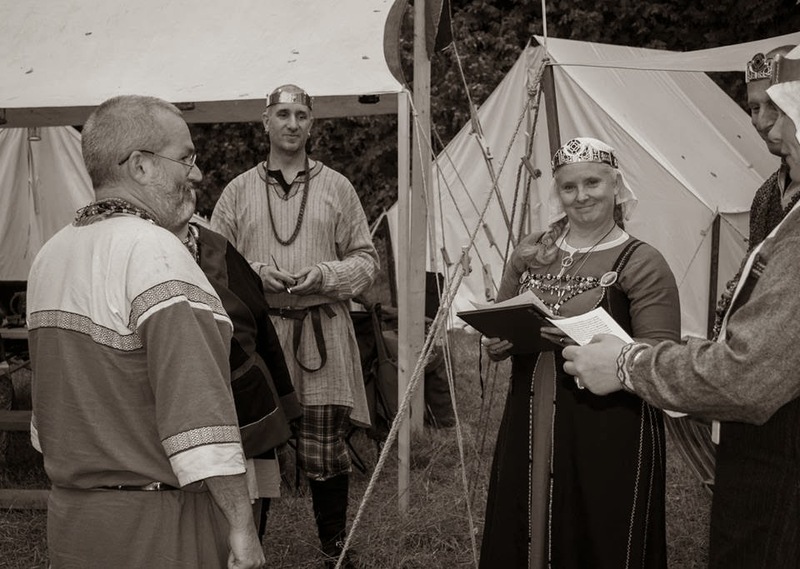 Colyne signing his apprentice contract with HRH Adrielle, Icelandic Althing, 2013. During the reign of Siegfried II and Xristinia Colyne was elevated to the Order of the Pelican and took the title of maister. Click here to read the wording from Colyne's Pelican scroll. Click here to read the ceremony used for his elevation. At Feast of the Bear in AS53, Colyne took Baroness Anneke the Furious as a protegee, thus founding House Malepardus. 1. I grant you my persona--situated in 1350--is almost a hundred years too early to properly use the term...but close enough. Source the first. Source the second. 2. Middle Scot's English for "master." According to the Online Scots Dictionary it is pronounced mestər. Interestingly, it appears that in the 16th century "maister" also became synonymous with urine and vessels for containing it for use as detergent or for treating seeds (according to Dictionary of the Scots Language).